8mm Forum: An outing for Vinyl. Author Topic: An outing for Vinyl. I haven't been able to play any CDs for months, as it looks like the laser has gone on the player; about 10 years old and not often used. Today I am having an evening of vinyl, on a stereo I bought 47 years ago. No problems. Progress? Vinyl has none of the harsh brittle sound that you can get with CD's. Being uncompressed, it is closer to the original analogue recording, and just seems a lot easier on the ear. CDs shouldn't be compressed as they are 16 bit linear PCM only MP3 etc are compressed. In fact a lot of vinvyl was compresses to stop needle skip on loud transients. Also I remember a pub band dedicating "Delilah" to O J Simpson around the time of his trial!!!!! I prefer vinyl, Graham. I sold all my 50s rock'n'roll because I have no one to leave it to. Regrettable, but I used part of the money to buy a feature, and bought some of the same tracks on CD. I've kept all my other vinyl, comedy, classical, C&W. I'll be keeping all that; even Harry Lauder. Agreed, not to start an analog vs. digital argument here, as I do a great deal in both sides of the audio world. But Paul, if you've found digital sound to be harsh, something's wrong. Early digital in the 1980s could be quite harsh, that's a given. But not these days. Mastering, playback equipment, and even source material can be all to blame. However, back on topic: there is just nothing like putting vinyl on the platter and hearing something amazing. Hmmm, kinda reminds me of a different hobby, in the visual arena...! I still have Rock Around the Clock on 78 Shellac!!!!! I wonder when that will come back into fashion. No problems here with records! My 40-year-old Luxman 131 has had a new arm and a couple of cartridge upgrades over the years, but it still chugs along with impressive specs and sound. I have about 500 LPs to feed the beast. One of my 'good ones' is the original stereo LP release of "The Lion Sleeps Tonight" with the Tokens; It still sounds rather marvelous. I had that on Shellac as well Brian, along with Rockin' through the Rye. You gotta love those glorious turntables! I am glad we never threw out our old records years ago....but it did came close. I watched an interview with Roger Moore years ago and when asked his favorite intro to his bond movies it was Paul McCartney and Wings to the 1973 film "Live and let Die"
While we are here, I have many experiences that inner tracks (last track before the label) does sound worse than outer tracks. Did you also hear the same? Records (I don't like calling them vinyl) have been with me all of my 63 years. If you find anything in Phase 4 Stereo, buy it. They sound amazing! The inner tracks will no be as good due to the lower linear speed of the stylus cutting them. The undulations of the walls are closer together. A bit like using 18 fps for film sound rather than 24. I think that is why most singles were recorded at 45 rpm not 33 1/3. I spent a small fortune on my Linn LP12 a couple of years ago - new speed board, motor and stylus (the beautiful Audio Technica OC9 Mk III). I did hum and har about it, but so glad I did it now. It still amuses me to see vinyl records (albeit very limited) in our local supermarket. We should have a "Show your other analogue bits" thread. I'd love to see some hifi! I'm in the middle of rebuilding a Lenco GL75 turntable. 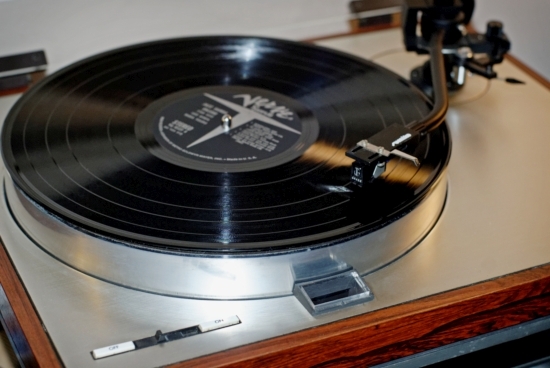 A big resurgence of Vinyl LP records in the USA. I see them for sale everywhere now - even Cracker Barrel is selling them! Graham, your turntable looks like the same ones we have in the northern hemisphere, don't they spin the other direction down under? I had a thought just yesterday about this subject of our passion for ancient technology! So, i want to find an exceptional copy of the TV show, and then, where I put in the stereo LP audio on the TV special. True, there will be about 7 and a half minutes of mono left to the show, but it's really neat to hear these old shows in stereo! Another really interesting cases of this is the animated TV special, "Santa and the Three Bears", which originally ran about 48 or so minutes, but they also released an LP of that TV special, which only runs about 35 or so minutes, but hearing that audio (especially the music) in stereo in High fidelity is really a treat, especially when it's a cherished memory from my past! So, LP's have even more uses than we once thought! When I came across this record in a junk store and its still in good condition a while ago, I thought I might have some future use for it on a possible video upload..
Hi Graham, I still have this one and have used it on home videos!! Ken Finch.